Small cozy hostel near the train station, within walking distance from the city centre. Two common rooms - male and female, are designed for budget travelers. They are sturdy and wide bunk beds, wardrobes, safety Deposit boxes for personal belongings. Those who are accustomed to travel and relax more comfortably, we offer a separate room with a double bed. All of them has 1.5 baths, a spacious fitted kitchen, air conditioning, high speed Wi-Fi. Small cozy hostel near the train station, within walking distance from the city centre. 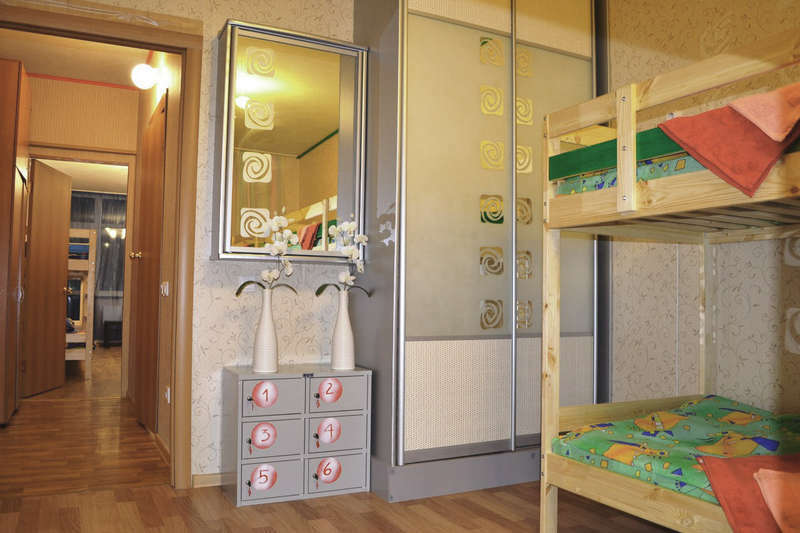 Two dormitory rooms - male and female, are designed for budget travelers. They are sturdy and wide bunk beds, wardrobes, safety Deposit boxes for personal belongings. Those who are accustomed to travel and relax more comfortably, we offer a separate room with a double bed. Hostel have 1.5 baths, a spacious fitted kitchen, high speed Wi-Fi. Free cancellation is possible no later than the day before check-in time. Please contact the hostel by email and let them know you have changed plans. In case of no show will be charged 100% of the cost of the first night.